Winter is here which means my garden has stopped growing tomatoes. I had a full batch leftover of the last few tomatoes grown so I've been integrating them into many of my recipes. 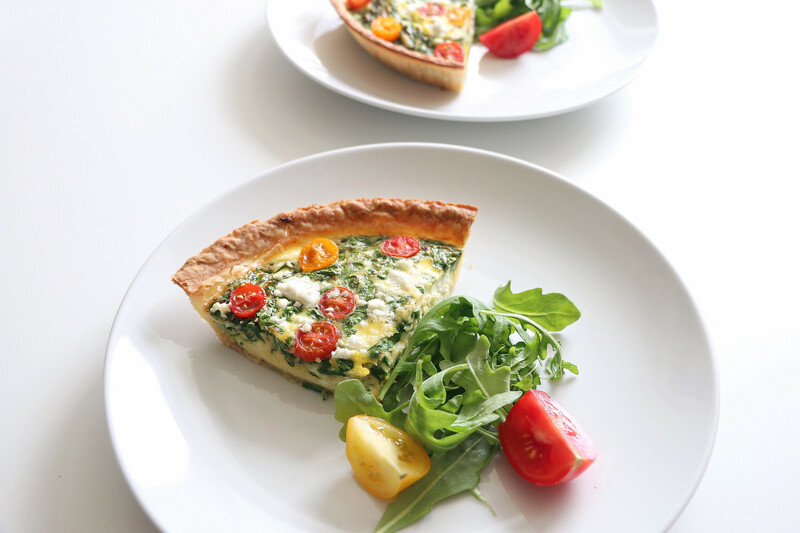 A quiche is one of those simple yet elegant dishes that can be easily prepared with numerous ingredients for a fancy breakfast or quick dinner. 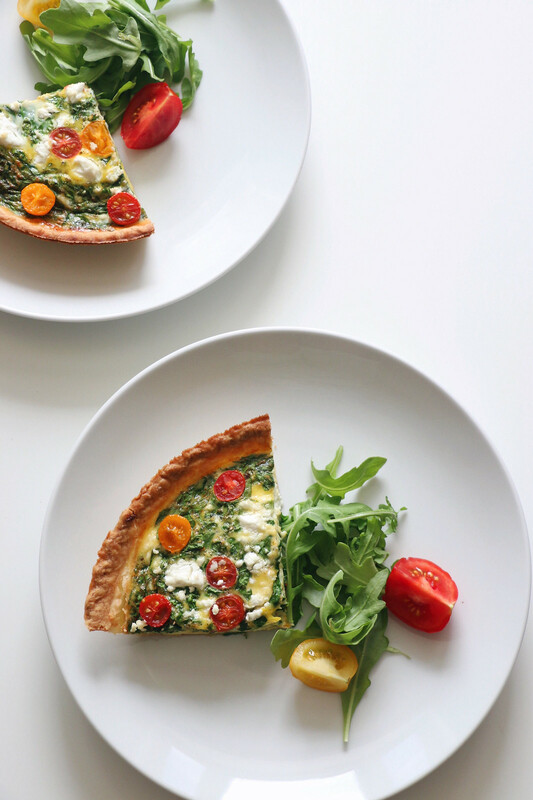 It's also a great way to use leftover ingredients. 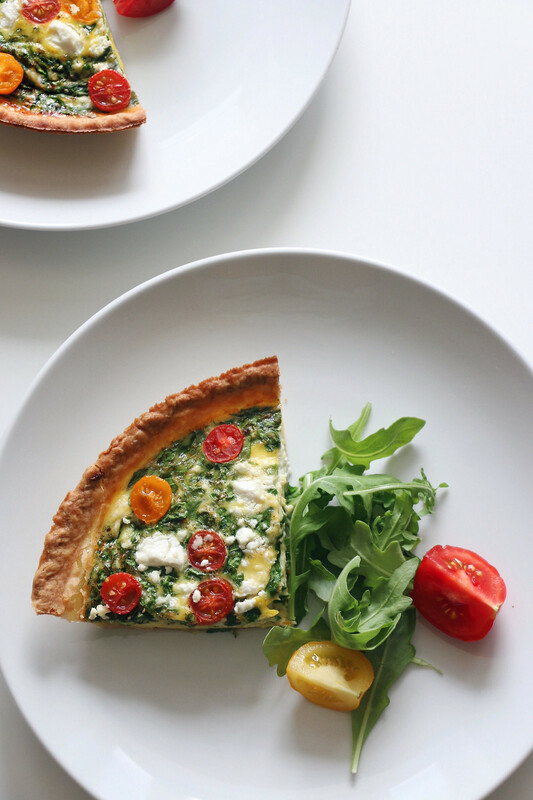 I had a few ounces of goat cheese leftover, my tomatoes, & a tart shell in the freezer. 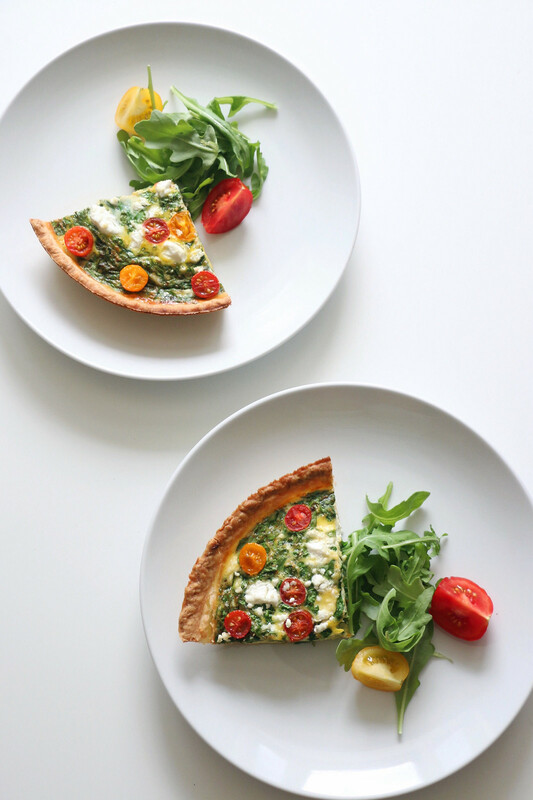 Some other great ideas for a tart shells can be a ham, broccoli, & cheese quiche or even a seafood tart. Thaw tart shell as directed. 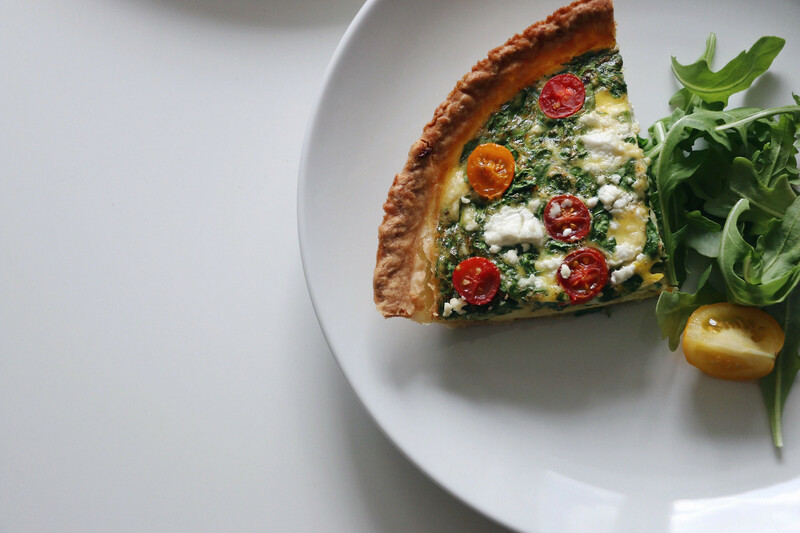 Chop spinach & cherry tomatoes. In a bowl, whisk eggs together & add spinach. Using a fork, pierce the tart shell & bake at 300 degrees for 5 mins on the middle rack. Add egg mixture & bake for 15 mins. 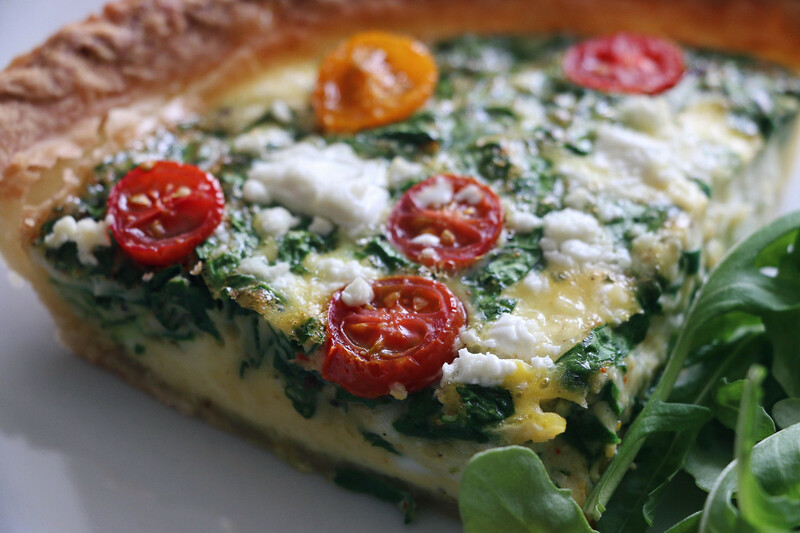 Once the quiche is half baked, top with goat cheese & chopped cherry tomatoes. Broil on low heat for 15 mins & top with salt & black pepper to serve with a side of arugula.